Jalapenos That Are Sweet Rather Than Hot? The Vine Garden Plant Outlet Loves Plants That Surprise You! The Vine Garden Plant Outlet opened to the public in 2014 to fill a niche in naturally grown vegetable plants and herbs as well as offering florist quality annuals, perennials, mums and hanging baskets at outlet prices, and began participating in the Middletown Farmers Marking in 2016. 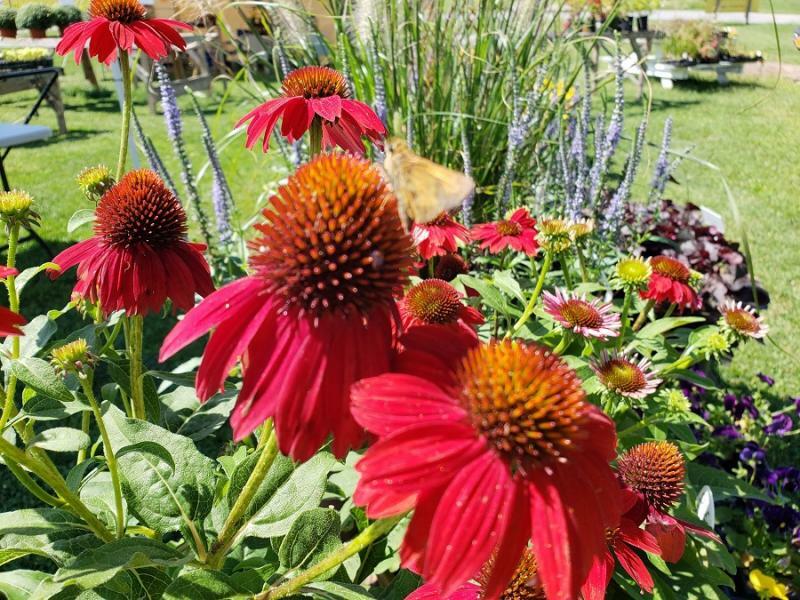 The Vine Garden Plant Outlet is a 3 season garden center, located near Boonsboro, Maryland specializing in heirloom and hybrid vegetable plants and herbs grown without the use of pesticides or fungicides. They have all of your favorites as well as unusual annuals, perennials, houseplants, and even miniature plants! Customers love the unusual colors in wave petunias, the amazing vegetable plant selection, and the great price on herbs including hard-to-find bay leaves and citronella! The early weeks at the Farmers Market will feature pansies, herbs, early vegetable & annual varieties and blooming perennials. Once the frost free date passes, they will add tropicals, more herb and annual varieties, miniature plants, and hanging baskets. In the fall, they will be offering huge mums as well as pumpkins, gourds and other fall decorations. The Vine Garden Plant Outlet loves offering things that surprise you...Jalapenos that are sweet rather than hot...Popcorn Plants that smell just like buttered popcorn...Sensitive Plants that collapse when you touch them and spring back up minutes later...the world's hottest peppers....Edamame plants. They invite you to stop by and see what fun, unusual items they have each week!